There has been a flurry of posts on Sick Beard recently. As a continuation, in this post I will explain how to setup server running Ubuntu 12.04 with Sick Beard Apache proxy. Technically it is a reverse proxy, that allows you to access Sick Beard web interface without the use of port numbers. Sick Beard is a wonderful set and forget python script to automatically download and pass TV show torrent files to torrent downloaders (eg. Transmission) or NZB files to NZB downloaders (eg. SABnzbd+). TV shows will be downloaded as they are available, renamed, and moved to your library. You will need news group access for best performance and Sick Beard works best with Usenet services such as Astraweb with SABnzbd or Unzbin newsgrabbers. Please follow my previous post on how to install Sick Beard on Ubuntu, prior to setting up Sick Beard Apache proxy. This method works on previous versions of Ubuntu as well (>10.04). Support content creators and signup for Amazon Prime and get instant streaming of Movies and TV Shows. Alternatively, you may purchase or rent digital copies of Movies and TV Shows. I usually like to not have anything work on its default port for security reasons. But anyway, to access the Sick Beard web interface using port number (eg. http://myserver.com:PortNumber) is cumbersome. I like to create Sick Beard Apache proxy for easier access (eg. 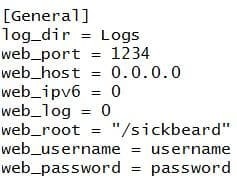 http://myserver.com/sickbeard). Below is a description of how to achieve this on Ubuntu Server. Then, you will have to stop Sick Beard and edit its configuration file to modify the “web_root”. Stop Sick Beard from the web interface or using the following command (if you followed my Sick Beard installation guide). The configuration file (config.ini) is normally located in the home folder under “.sickbeard”. Edit the [General] section as shown in the picture below. Change web_root to match what is mentioned in your proxy.conf. Find the [global] section and edit “urlbase” as shown below. You could name it whatever you want (eg. potato instead couchpotato) but make sure that the same word is used in proxy.conf. 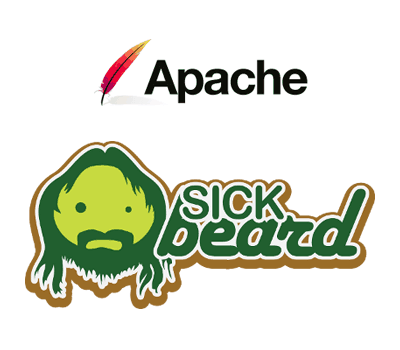 Sick Beard Apache proxy is now active and you should be able to access Sick Beard web interface using http://myserver.com/sickbeard. There is one final step after activating Sick Beard Apache proxy. If you have DHCP server (eg. router), you may have forwarded the port (8081 or whichever port your Sick Beard is listening at) to the computer on which Sick Beard is running. You may now disable this cutting access to the Sick Beard using the port. However, there is a disadvantage to doing this. You will not be able to use Sick Beard remote clients to control your CouchPotato. So the decision to forward the port is up to you. There you have it. Setup Sick Beard Apache proxy and enjoy the easier access to the Sick Beard web interface.